Drink Plenty of Water: Your skin dries out quicker over autumn, so drinking at least 1.5 litres of water each day helps to keep it smooth and supple. Take a vitamin supplement: a healthy body promotes healthy skin. Taking a regular, daily dose of essential vitamins like the USANA Essentials will keep your skin fresh and glowing. Antioxidants such as beta carotene, vitamins C and E are particularly useful in fighting off the effects of ageing and dry skin due to oxidative stress. Moisturise: autumn weather and exposure to indoor heaters and fires causes dry, flaking skin, which isn’t any fun. 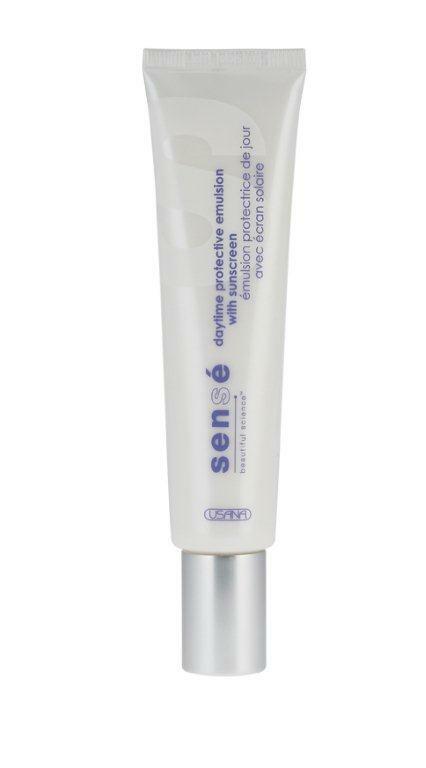 Choose a light, non-greasy moisturiser like Sensé Daytime Protective Emulsion which you can apply every day. Enjoy Fresh Produce: The autumn garden abounds with fresh fruits and vegetables, packed with vitamins and antioxidants to fight free radicals and keep your skin glowing. Head down to your local farmers market and pick up some delicious, natural treats. Exercise: with the weather getting colder, it’s harder to motivate yourself to get out and about. Exercise keeps you (and your skin) fit and healthy, so find yourself a winter activity, like aerobics classes, indoor rock-climbing or basketball. Limit Sun Exposure: One of the biggest mistakes people make is assuming that since the sun is hidden behind a cloud, it can’t harm your skin. You can burn even on a cool day, and sunburn causes all kinds of skin problems, from peeling redness, to premature ageing and skin cancer. Always cover up with sunscreen. Skin breakouts: With indoor heaters turned up to max, and warm clothing coming out of storage, you may find yourself sweating more. Sweat locks dirt in our pores and produces autumn breakouts. Use Sensé Gentle Daily Cleanser to wash away surface dirt and impurities and wipe your face and body with a clean towel after sweating. Don’t forget, a healthy body promotes healthy, glowing skin. With a daily supplement like Essentials, an autumn diet rich in fresh fruits and veggies, and Sense skin-care tips, you’re set for the best autumn yet!